RCV Ultimate IFS CV Axles for GM pickups and SUV’s provide ultra-high strength and an articulation range that original equipment CV axles can’t match. The CV axles are a direct replacement for 2006 and up GM 1500, 2500, and 3500 series vehicles. RCV Ultimate IFS CV Axles handle heavy throttle and sharp steering angles with no problem. Even if the vehicle is lifted, has big tires, and is high powered, RCV axles operate smoothly, and without vibration. RCV Ultimate IFS CV Axles provide the strength of a straight axle swap, while maintaining the traction, smoothness and control of IFS. RCV CV axles distribute torque over a six-bearing inner CV joint design that’s much stronger than the OE tripod design, and offers 28° of articulation. RCV’s patented Super Duty Chromoly Dome-Mass Cage and Race with Spherical Sealing Technology (SST) is used for outer joints. 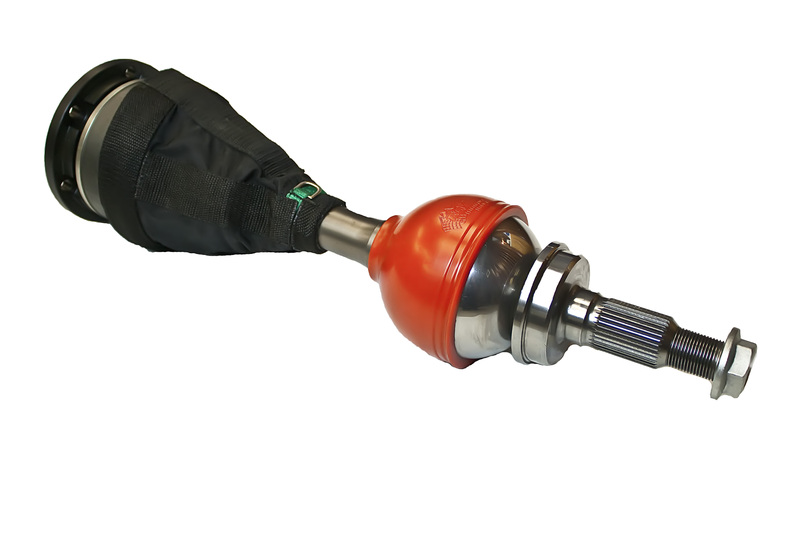 This joint delivers ultra-high strength, and 45° of articulation, while the SST provides much greater resistance to punctures and tears than a rubber CV boot. The CV Axles are low maintenance, and backed with a “No Questions Asked” limited lifetime warranty. Ultimate IFS CV Axles are used by racers in off road racing series including Ultra4, and TORC. As well, they are used for utility applications, such as farm trucks, and snow plowing vehicles. Made in the USA. More information is available at www.rcvperformance.com.